Watching the Tube - includes getting your PC ready for YouTubeviewing, finding video, signing up for an account, and creatingfavorites. Loading Video to YouTube--covers the nuts and bolts ofshooting video, transferring it to a PC, editing it, and sending itup to YouTube. 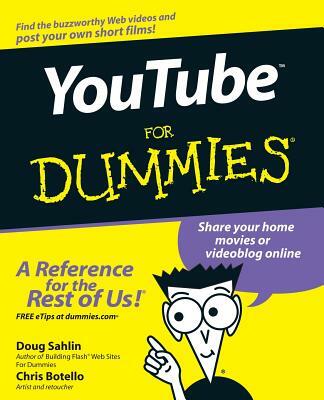 Bringing Along YouTube--covers the various ways you canuse YouTube video in places other than on the site. Includes mobileYouTube and adding videos to your MySpace page or another Website. I Always Wanted To Direct--explores how to use YouTube'sdirectors program to upload longer video, use the site formarketing, or launch your own videoblog.